Searching the App store for interesting photo apps I came across ‘Pro HDR Camera’. Unlike a lot of mobile apps, Pro HDR does actually capture three seperate exposures to form a genuine HDR image. Although I must confess I dont do much HDR at all, there is a lot of great photog’s out there who do, and if stuck without a suitable camera, this is a nice little app to have up your sleaves for the cost of a can of coke. Taking a short stroll through Smiths Bush, it delivered great results from what would normally have either more blown out, or underexposed images – especially on a mobile phone, which tend to have low dynamic ranges. At home none if the images I shot appealed to post up. Whilst great testers for the app, image content wise they didnt much speak to me. So – I clipped in my macro lens and visited the back lawn. 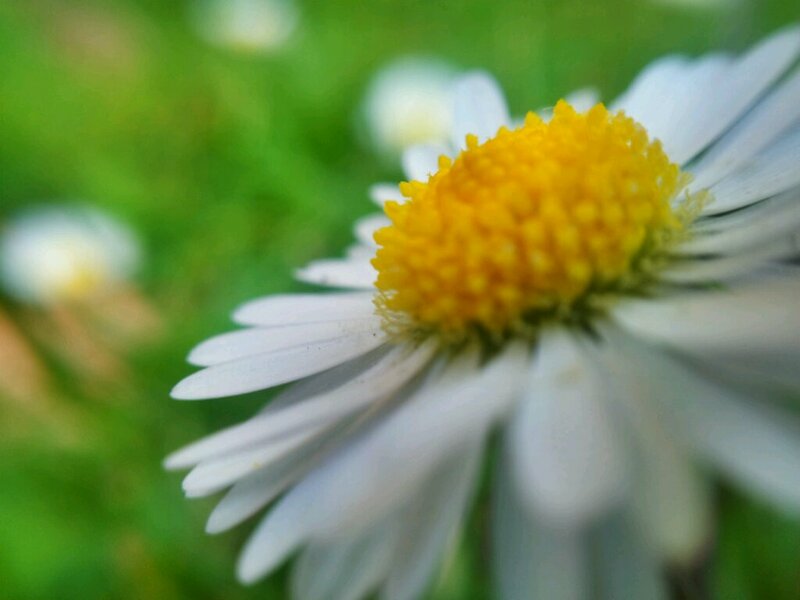 I have not seen much macro HDR, so the daisy is my casual snap at it. Im tempted to go back to Afterfocus again tomorrow. Its been my top vote so far. I did also play with Instagram today, but the prompting to share or where to share put me off it straight away im afraid.